Screw points are an essential part of the screw for both parallel and tapered screws. Points are available in a variety of shapes and suitable for an in-depth range of applications. Screw Points are required for hole alignment, the initial entry into the material and as a means of locking against an item. Self Tapping Screws Type A Point is used with a thin metal sheet of 0.015” to 0.050”; the holes are drilled, or punched. The type A point has been superseded by the AB point. .Self Tapping Screws Type AB Point are thread forming screw that uses a locating point of Type A with a B type pitch and thread size. The AB point is the most popular self-tapping screw. Self Tapping Screws Type B Point are used with the more substantial metal plate 0.050” to 0.200” thick. ; they have a greater root diameter and a fine thread pitch. Tapping screws Type BP Point is similar to the Type B point, the self-tapper has a cone point to assist with misaligned holes. 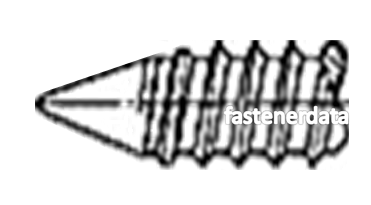 Type F point is a thread cutting screw with a machine screw thread that has a blunt tapered point having multi-cutting edges and chip cavities. These screws are typically used with heavy gauge sheet metal. Type 1 screws have a single flute made for general use. These points create a fine standard machine screw thread, used for field maintenance replacement. This thread cutting screw is in the fine thread series and offers maximum thread cutting area with excellent chip clearing and allows minimum tightening torques. Type 17 point thread cutting screws are ideal for use with wood; with a coarse tapping screw thread as well as a long sharp fluted point to capture chips. Decking Screws Type 17 point. Decking Screws are exterior wood screws used in the construction of Decking, Arbors, fences and treated wood. The use of a Type 17 screw points allows a decking screw to penetrate into thick woods. 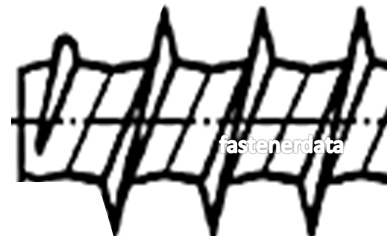 Cutting screws with Type BF points have Type B threads and a blunt taper point. Thread cutting screws with Type G points are blunt die points with singular through slots used to form two cutting edges. Particle board screws are produced with threads that do not correspond to adjacent threads in either shape or size this enables them to resist pull out and thread slippage. Particle board screws offer exceptional holding power and quick assembly in wood and particle board. Tri-round Type TT thread forming screw has coarse machine screw threads. Tri-Rounds Three vertexes perform a thread roll forming process to form mating threads. TT has better thread forming than Type C or CA and drives with less torque. Type C pointed screws are thread forming screw with either coarse or fine pitch machine screw thread and a blunt tapered point. They allow for replacement with standard screws in field maintenance and eliminate chips. These screws require a higher driving torque and are used in heavy sheet metal and die-castings. Thread forming Type CA point screws have either a fine or coarse thread pitch parallel thread with a sharp Gimlet point. These screws are similar to Type C points. The locating gimlet point is superior to Type C, and assists in joining holes between two adjoining pieces of sheet metal could be misaligned. These screws have a 48⁰ or 60⁰ thread option that lowers the displacement of plastic and decreases the tendency to fracture bosses and reduces internal stress. Hi-lo point screw is a dual lead screw commonly used in wood, plastic, nylon, and other low-density materials. 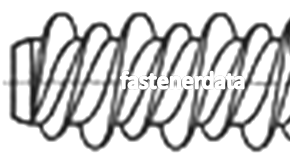 Its thread design improves the drive and reduces strip out torque while decreasing the risk of cracking the material. Low root thread screws have blunt points and are ideal for use in plastic applications. 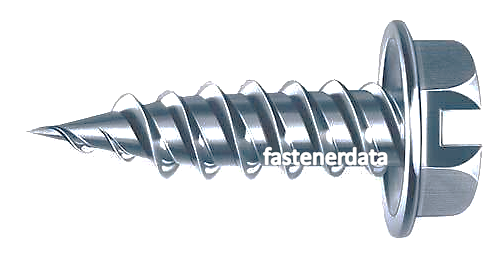 Lo-Driv is a thread forming screw with coarse machine screw threads. The point and body design require low-end load for starting and low drive torque for seating. The full 360⁰ body above the point provides excellent strip-to-drive ratios. Type U drive point is a thread forming Hammer Drive screw offering a high helix thread useful for hammering into castings, sheet metal, plastics, or fibre for fast and efficient assemblies. Self-drilling screws have drilling points that can drill through metal, plastic, and wood applications. Because the screw removes all hole preparation, self-drilling screws play an essential part in decreasing in-place fastener costs. Self-piercing screws provide for exceptionally stable sheet metal assemblies. These screws may be used to drill through pre-punched holes in light gauge sheet metal. Header Point is the least costly pointing operations produced at the time of heading. It offers an end chamfer with a diameter smaller than the thread’s root for easier thread mating engagement. Rolled point screw ends are an effective method of creating pointed long screws or studs and give an end chamfer similar to a header point for location. Pinch points are cost-efficient tools commonly utilised to assemble several parts that call for pilot action and aligning multiple sheets. Nail pointed screws have a slightly squared surface and a sharp cone point and primarily used for locking against wood and other soft material. 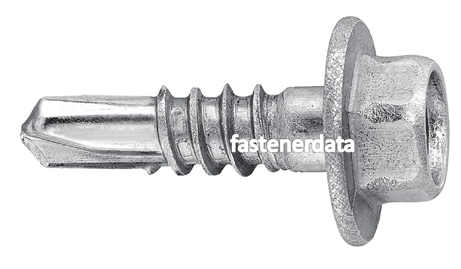 Cup points are a cup section at the end of a threaded screw, which will allow endpoint pressure locking without causing significant disfigurement of the shaft. Knurled Cupped points are a cup section at the end of a threaded screw, which will allow greater endpoint locking pressure causing minor shaft damage. An oval point sometimes called round point screws are a dome surface at the end of a threaded screw, which offers pressure without resulting in damage. Cone pointed screws have a smooth surface, without a sharp point, and accurate length, which will match the contour in the mating hole to create a locking action. Flat ended set screws have a smooth surface, a flat end without a point, the flat end does not damage the surface it beds against, with no damage to the shaft and is used when frequent adjustment is required.